The Four last Bills sent up to the Lords. 1. The new Bill of Uses upon Fines and Recoveries. - Mr. Moyle. 1. The Bill for Amerciaments of Burgesses absenting from the Parliament, - to Mr. Arundell. 1. 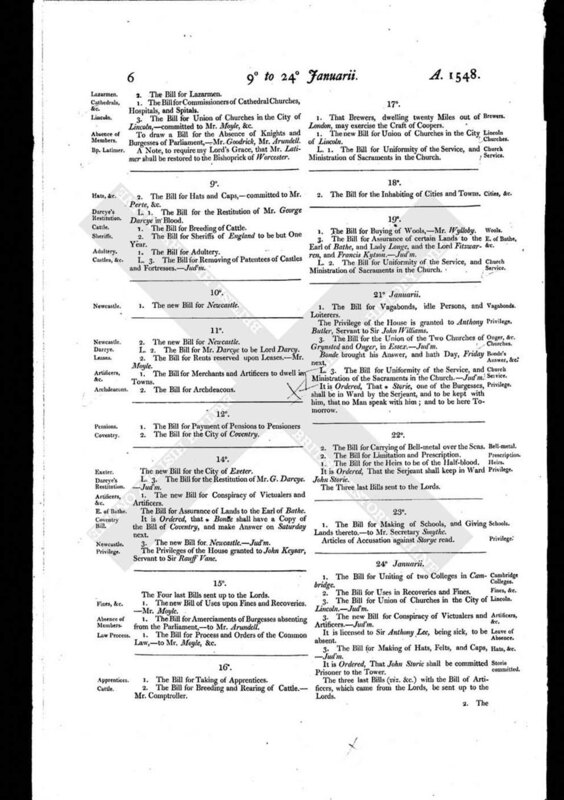 The Bill for Process and Orders of the Common Law, - to Mr. Moyle, &c.